Autumn (especially early Autumn) is my favourite season. I just love the crisp air, slightly chilly, but sunny days and cosy evenings under warm blankets. 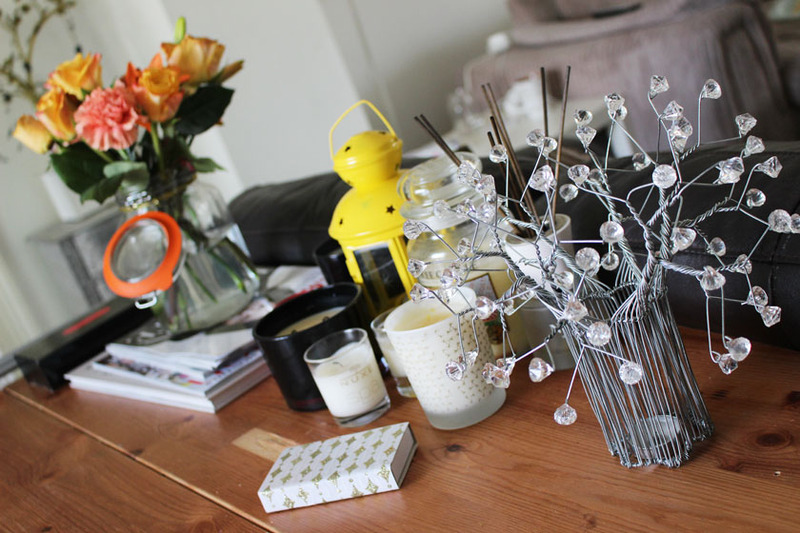 Add some hot chocolate and candles and I am one happy bunny :) I also love decorating the house with more Autumn appropriate flowers and ornaments and I wanted to show you some of my recent additions and arrangements. 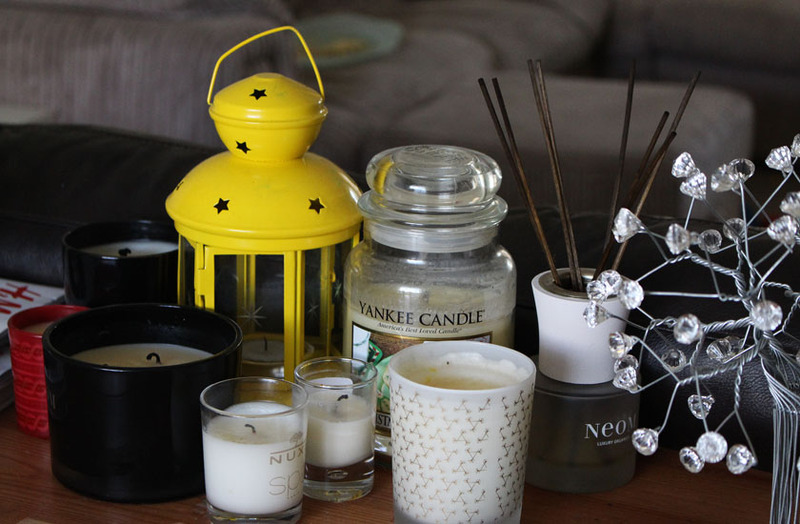 I used to keep my candles in a big basket, but they hardly ever got used so I arranged them all on the dining table, with some magazines, a reed diffuser and a little Ikea lantern. 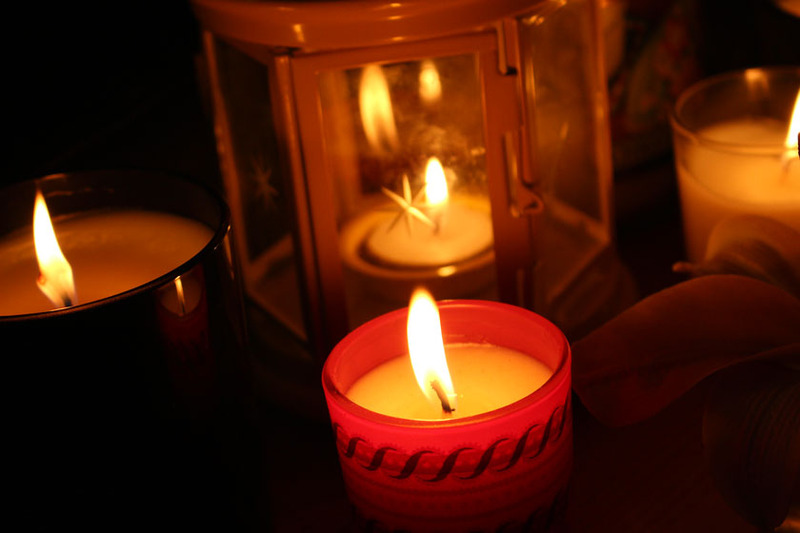 I can actually smell all the candles while sitting on the sofa, which is lovely! 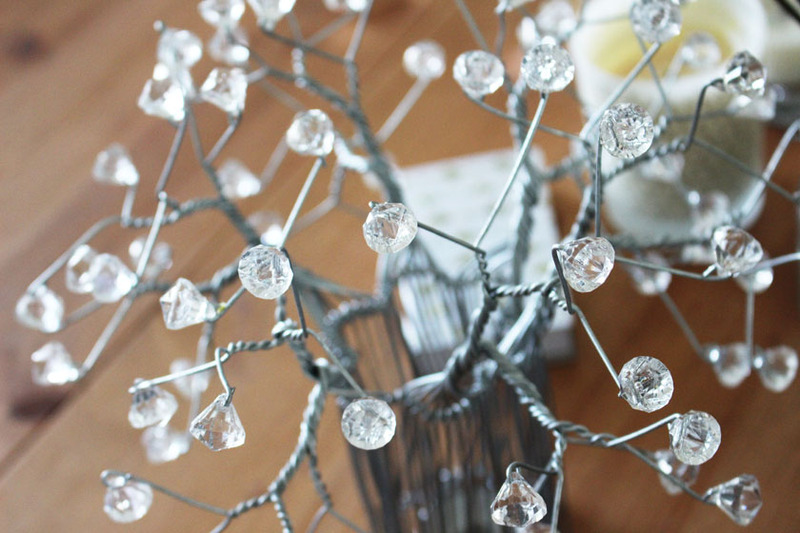 I also added the Wire Crystal Baobab Tree*(£25.00) from Dassie to the little table arrangement and I absolutely love it! How gorgeous is it? 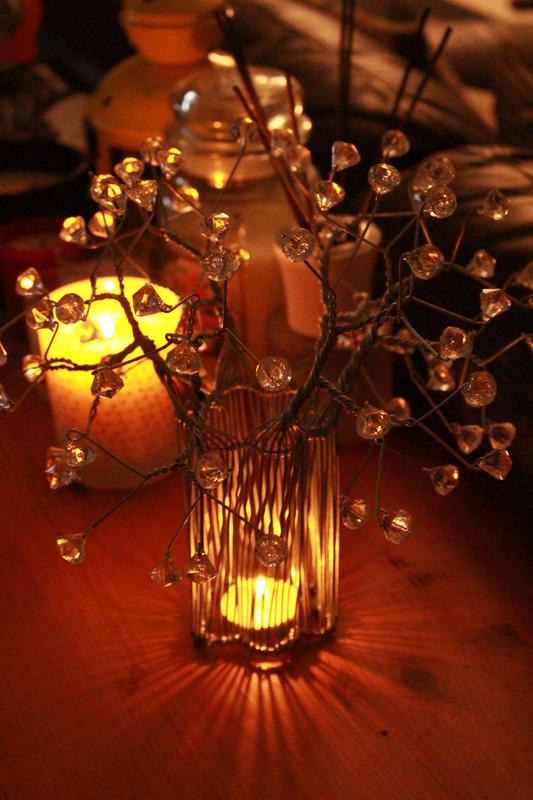 It was handmade from wire and crystal-like beads and you can put a tea light or a small candle inside to make it look even more beautiful in the dark (see photos below). 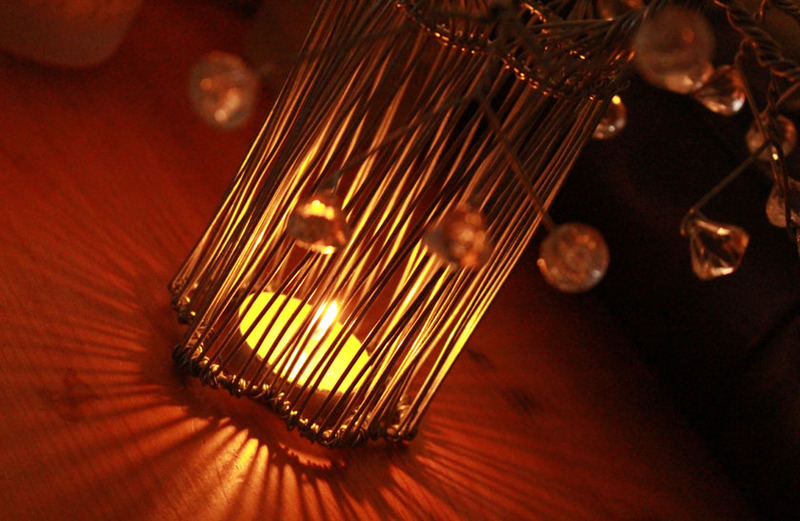 If you like unique, eco friendly and fair trade decorative pieces, check out Dassie - you won't be disappointed. Fun fact: Dassie products come with a label made from 'growing paper' embedded with either flower or herb seeds that grow as soon as you have planted the label in some soil. 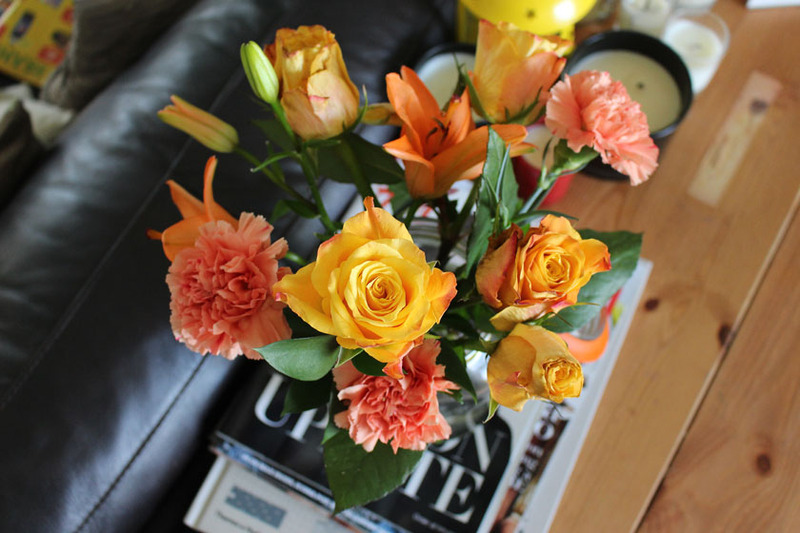 To make the living room feel more autumnal, I picked the Autumn Morning Bouquet* from www.debenhamsflowers.com. The colours remind me of Autumn leaves. 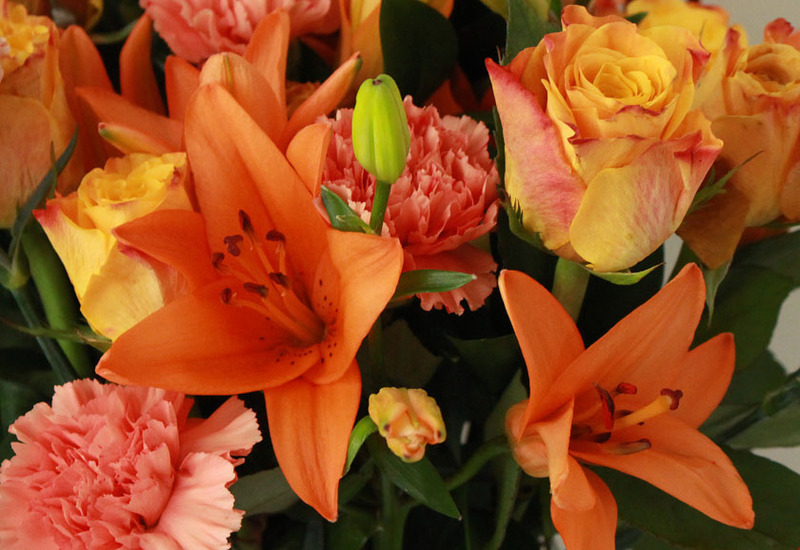 The bouquet features Orange LA Lilies, Cherry Brandy Roses, Orange Carnations and Eucalyptus - simply stunning! 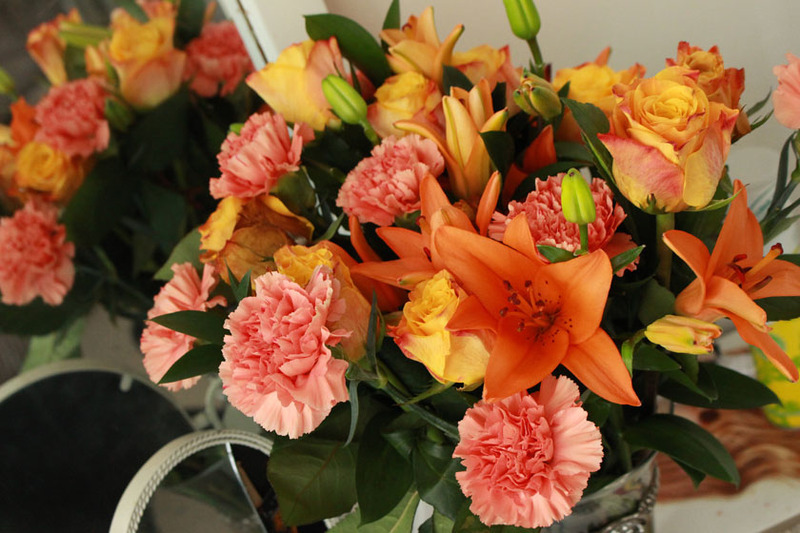 Carnations are my favourite flowers at the moment, because they last for 2 weeks+ which is amazing! 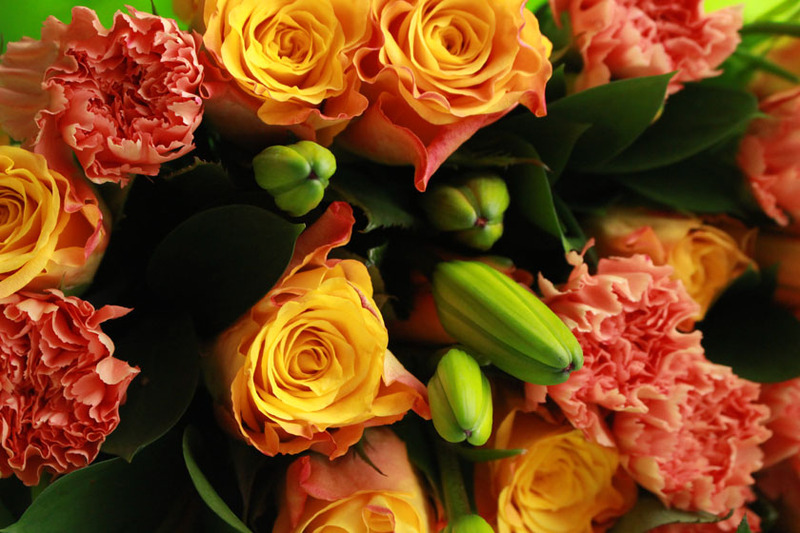 If you fancy treating yourself to a gorgeous bouquet, make sure to use the 40% off code: DFBLOG40 (valid on all luxury bouquets). Do you change your house decor to suit each season?